This numerical rating of home energy efficiency is only a start. Anyone in the market for a house is bound to run into real estate listings claiming certain properties are “energy efficient.” These houses presumably will use less energy for heating, cooling, and hot water and over time save their owners big bucks. The question is, how will buyers know whether these ads are anything more than whimsy on the part of the listing agent? 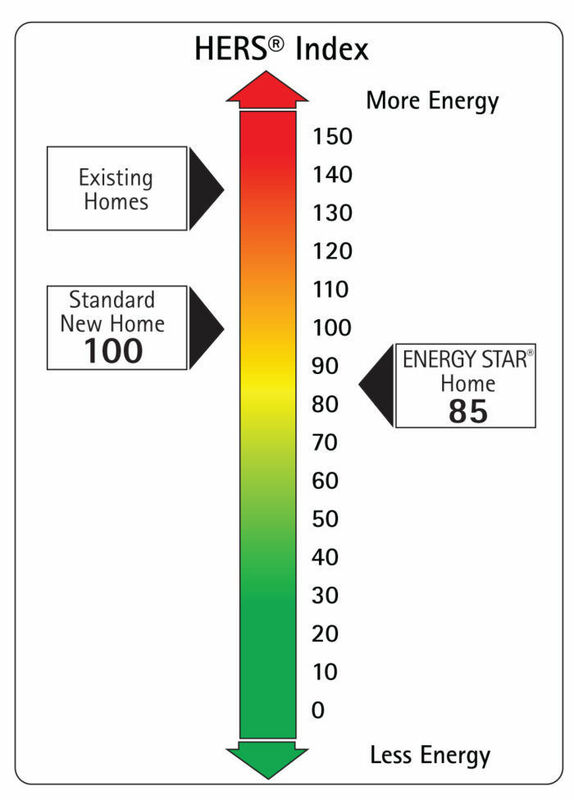 One yardstick is the Home Energy Rating System Index, or HERS Index, a numerical score that compares energy efficiency of the house to one of similar size and shape that’s built to the 2006 International Energy Conservation Code. The evaluation by a HERS rater results in a single number. If the house scores 100, it is judged to be equally as efficient as a similar house built to code. For every 1 point reduction in the score, the house is 1% more efficient than its code-compliant twin. So, a house with a HERS Index of 50 is 50% more efficient that a code-minimum house. 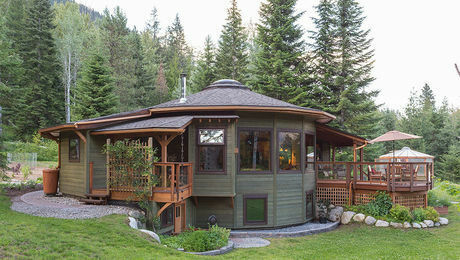 Houses with scores of 0 are “net zero,” meaning they produce as much energy as they consume. The HERS Index was developed by the Residential Energy Services Network, a national association of home-energy raters and mortgage lenders. However difficult the actual mechanics of the system are (raters use computer programs to crunch the data) the result is very easy to understand. There’s just one number, and the lower the better. But there is more to it than a single number can convey. Anyone who is interested enough to have their own house rated, or shops for a house based in part on the HERS Index, should be aware of a few caveats. The comparison is between an actual house and a hypothetical house (the reference house). The two will be similar in size and shape. But the system builds in certain assumptions about the reference home. Window size and location, for example, probably won’t be the same as the home that’s being rated. It’s not an apples-to-apples comparison. The software thinks appliance use will be more or less the same — even if it’s not. If the rated house doesn’t have a clothes dryer or a dishwasher, it still doesn’t get any extra energy credits. In other words, energy conservation doesn’t count. On the other hand, if the rated house has, say, two dishwashers, there’s a penalty to be paid. The HERS Index can’t take into account the energy habits of the people who live there. Writing in Home Energy, Jeff Ross Stein noted the index predicts the “individual potential” for energy use, not actual energy use. Others have made the same point about net-zero houses: It’s actually the habits of the family living in the house that really make it net-zero. Another note: Low scores can be misleading if you don’t think them through. Does a 10,000-sq.-ft. house with a HERS Index of 50 look like a better energy bet than a 2000-sq.-ft. home with a score of 100? Not really. Despite the lower score, the house is five times as big and will almost certainly use more energy. There may be other nits to pick, but the HERS Index is a valuable tool for predicting energy performance, and as a result energy costs. Like any other rating system or building standard, it has a few quirks that are worth throwing in the mix.